Millennials are the single largest generation in America. Today, their unique tastes and idiosyncratic preferences are having a profound impact on entertainment media, restaurants, and especially architecture. Whether you’re planning an office building or constructing a multi-family residential complex, appealing to the needs of younger buyers and workers is key to a successful design. Below are a few characteristics that appeal to millennials. Millennials are attracted to walkable communities in urban cores. Due to these preferences, adaptive reuse projects are popular, as unused industrial and commercial space is often located in desirable areas. Rather than planning new construction, builders should consider redesigning an existing warehouse into apartments or commercial space with open floor plans. When choosing a location, consider whether the local area offers amenities that typically attract younger residents and workers. 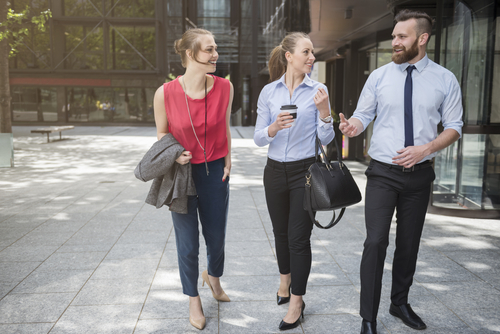 Millennials largely forgo driving in favor of biking or taking public transportation, so building projects located near commercial districts and transportation hubs are ideal. New residential complexes should consider adding dog parks and other features educated millennials look for when deciding where to live. Millennials are often concerned with reducing the environmental impact of their activities. When building with younger residents in mind, incorporate advanced energy-efficient appliances, use eco-friendly building materials, and consider adding additional green space. No matter what your goals are, the talented team at Pardi Partnership Architects PC have the expertise and vision to help you make them a reality. For over 20 years, these architecture, design, and engineering professionals have served clients throughout Rochester, NY, producing high-quality results on a broad array of projects. Visit their website or Facebook page now for a sample of their work, or call (585) 454­-4670 to discuss your project today.